The first hyperlink is to source or other information, where available. Links within parentheses are to source metadata and browse graphic, respectively. Achstetter, Eugene V., Kelly, Eugene V., Loomis, P. Burr, McKellar, Scott M., 1970, A summary of sediment size composition and engineering properties of three cores from the eastern Pacific April 1970: U.S. 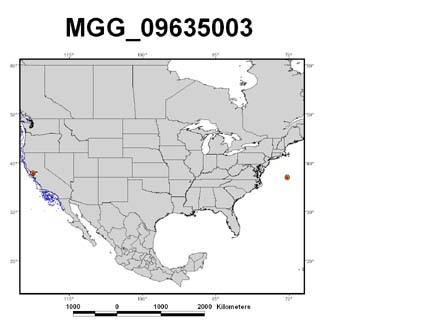 Naval Oceanographic Office (NAVOCEANO) Laboratory Item 398, 16 p. National Geophysical Data Center (MGG_09695001, data set 383). Achstetter. Eugene V., Loomis, P. Burr, and Ross, Cary M., 1970, A summary of sediment size and compositions of twelve grabs, May 1970: U.S. 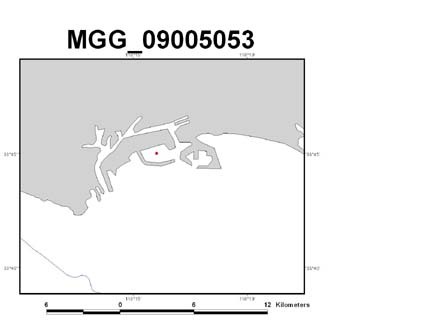 Naval Oceanographic Office (NAVOCEANO) Laboratory Item 400, 19 p., National Geophysical Data Center (MGG_09625001, data set 375). 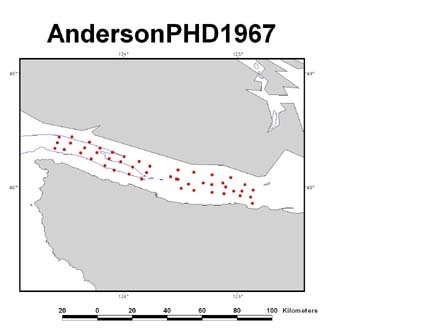 Anderson, Franz E., 1967, Stratigraphy of later Pleistocene and Holocene sediments from the Strait of Juan de Fuca: Seattle, University of Washington, Ph.D. dissertation, 167 p. (Anderson_PhD_1967, data set 393). 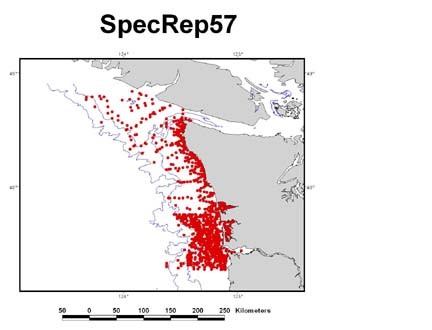 Andrews, Robert S., 1965, Modern sediments of Willapa Bay, Washington: A coastal plain estuary: Seattle, University of Washington, Department of Oceanography Technical Report no. 118, Reference M65-8, 43 p. (TechRep118, data set 390). 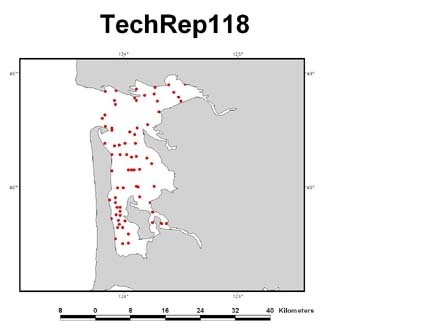 Ballard, Ronald L., Distribution of beach sediment near the Columbia River: Seattle, University of Washington, Department of Oceanography Technical Report no. 98, February 1964, Reference M64-16, 75 p. with appendices (TechRep98, data set 389). Barnard, William D., 1973, Late Cenozoic sedimentation of the Washington continental slope: Seattle, University of Washington, Ph.D. dissertation, 255 p. (Barnard_PhD_1973, data set 421). 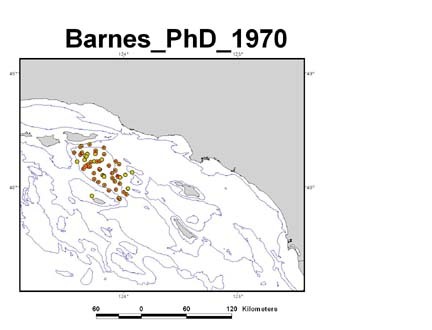 Barnes, Peter W., 1970, Marine geology and oceanography of Santa Cruz Basin off southern California: Los Angeles, University of Southern California, Ph.D. dissertation; also published as USC Report Number: USC-GEOL 70-3, 175 p. (Barnes_PhD_1970, data set 406). Bockman, Peter, Hill, David S., and Achstetter, Eugene, 1966, A summary of sediment size, composition, and engineering properties for PMR project 121/02; September - October 1965: U.S. Naval Oceanographic Office (NAVOCEANO) Laboratory Item 277, 44 p. National Geophysical Data Center (MGG_09005011, data set 365). 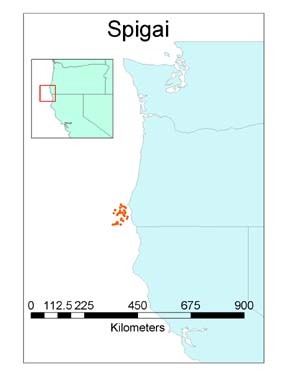 Borgeld, Jeffry C., 1985, Holocene stratigraphy and sedimentation on the northern California continental shelf: Seattle, University of Washington, Ph.D. dissertation, 177 p. (J. Borgeld, additional data, written commun. 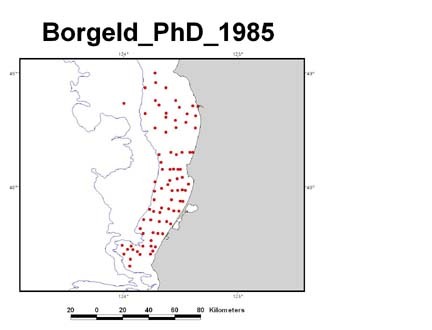 1999 to Mark Zimmermann, National Marine Fisheries Service, (Borgeld_PhD_1985, data set 385). 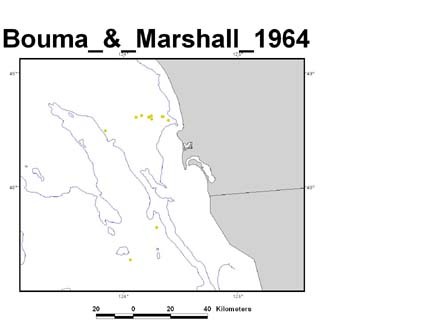 Bouma, Arnold and Marshall, Neil, 1964, A method for obtaining and analysing undisturbed oceanic sediment samples: Marine Geology v. 2 no. 1/2, p. 81-99 (Bouma_and_Marshall_1964, data set 408). 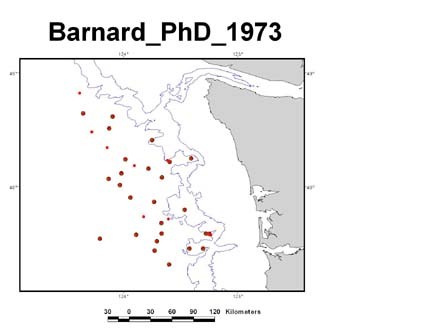 Burnett, Thomas L., 1968, Bottom sediment data from the continental shelf of Washington -- Grays Harbor to Cape Flattery: Seattle, University of Washington, Department of Oceanography Special Report no. 39, 1005 p. in three volumes (SpecReps57_40_39, data set 388). 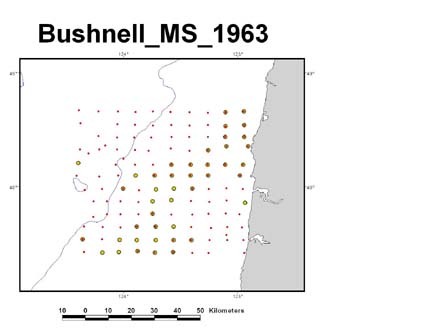 Bushnell, David C., 1964, Continental shelf sediments in the vicinity of Newport, Oregon: Corvallis, Oregon State University, Masters thesis, 107 p. (Bushnell_MS_1963, data set 397). 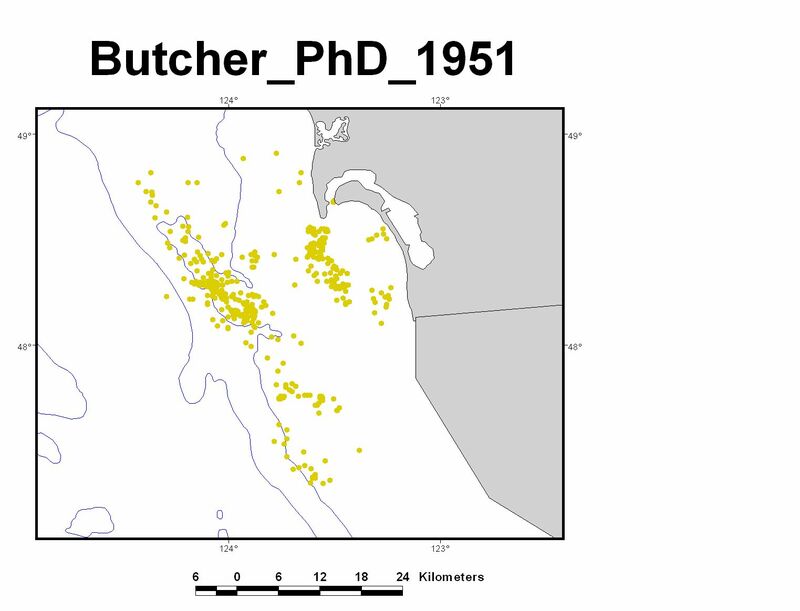 Butcher, William S., 1951, Lithology of the offshore San Diego area and foraminifera of Coronado Bank and vicinity, California: Los Angeles, University of California, Ph.D. dissertation, 117 p. (Butcher_PhD_1951, data set 420). 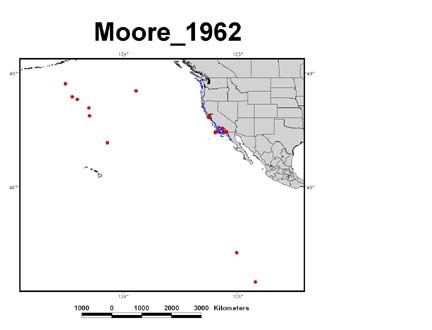 Cacchione, David, and Drake, David, 1983, Variability of sea-floor roughness within the Coastal Ocean Dynamics Experiment (CODE) region: Woods Hole Oceanographic Institution, Technical Report 83-25, 44 p. (WHOI_TR_83-25, data set 298). 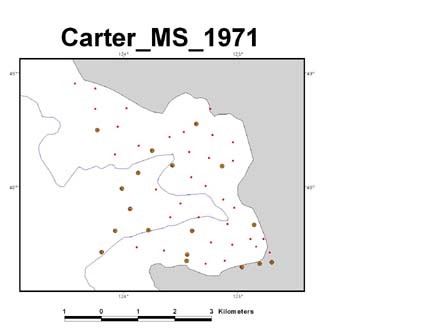 Carter, Lee S., 1971, Recent marine sediments of Carmel Bay California: Monterey, U.S. Naval Postgraduate School, Masters thesis, 57 p. (Carter_MS_71, data set 358). 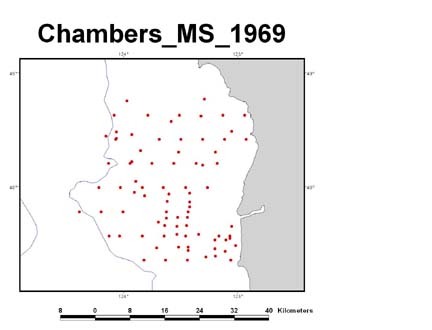 Chambers, David M., 1968, Holocene sedimentation and potential placer deposits on the continental shelf off the Rogue River, Oregon: Corvallis, Oregon State University, Masters thesis, 103 p. (Chambers_MS_1968, data set 396). Cherry, John A., 1962, Sand movement along a portion of northern California coast: Berkeley, University of California, Masters thesis, 125 p. (also published as U.S. Army Coastal Engineering Research Center Technical Memorandum no. 14, CERC_TM14, data set 12). Coleman, Jess B., and Grimes, Alvin R., 1965, A summary of sediment size, composition and engineering properties for PMR project 5R-006: U.S. 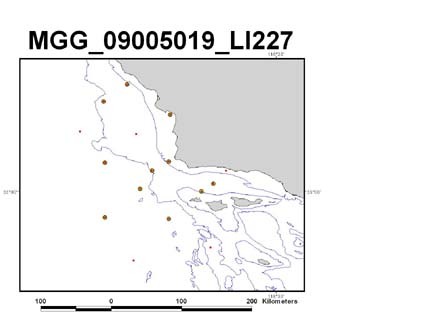 Naval Oceanographic Office (NAVOCEANO) Laboratory Item 242, 31 p., National Geophysical Data Center (MGG_09185006, data set 372). 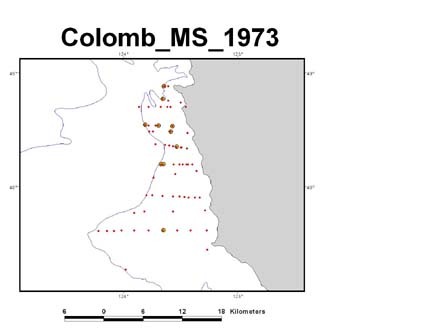 Colomb, Herbert P., Jr., 1973, Recent marine sediments of the central California continental shelf between Point Lobos and Point Sur: Monterey, U.S. Naval Postgraduate School, Masters thesis, 40 p. (Colomb_MS_73, data set 359). Conomos, T. John, 1963, Geologic aspects of recent sediments of south San Francisco Bay: San Jose, San Jose State University, Masters thesis, 118 p. (Conomos_MS_1963, data set 411). 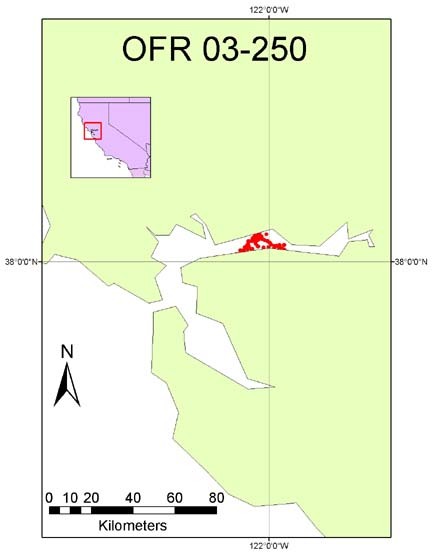 Daetwyler, Calvin C. Jr., 1965, Marine geology of Tomales Bay, Central California: San Diego, University of California, Ph.D. dissertation, 219 p. (Daetwyler_PhD_1965, data set 422). 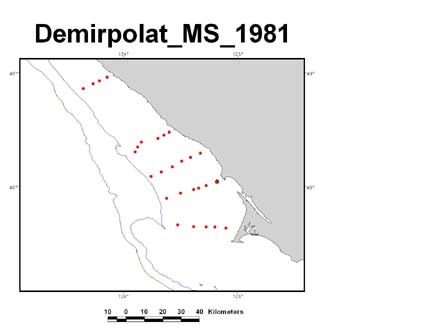 Demirpolat, Suleyman, 1981, Continental shelf sediments off the Russian River, northern California: Seattle, University of Washington, Masters thesis, 99 p. (Demirpolat_MS_1981, data set 423). 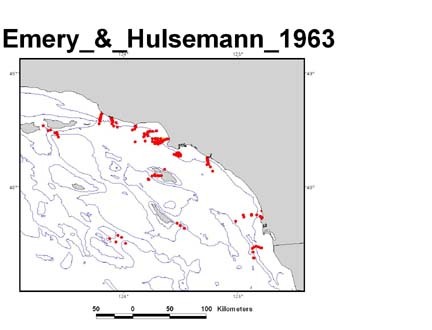 Dorman, Craig E., 1968, The southern Monterey Bay littoral cell; A preliminary sediment budget study: Monterey, U.S. Naval Postgraduate School, Masters thesis, 233 p. (Dorman_MS_68, data set 360). 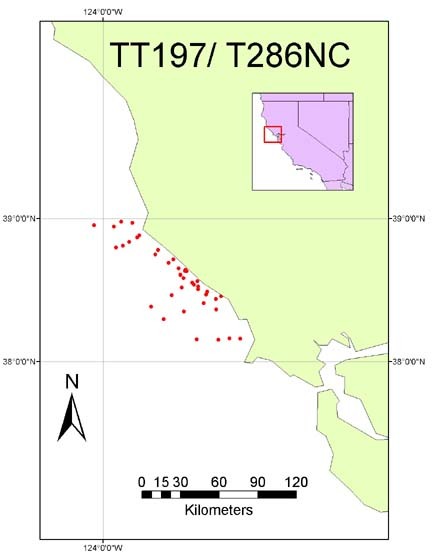 Edwards, Brian D., Gardner, James V., and Medrano, Marjorie D., 1997, Grain size, organic carbon, and CaCO3 of surface sediments from the southern Monterey Bay continental shelf seafloor in Stephen L. Eittreim (ed.) 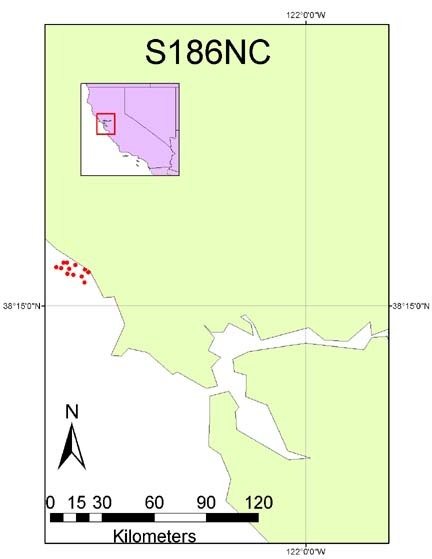 Southern Montery Bay continental shelf Investigations: Former Fort Ord restricted zone: U.S. Geological Survey Open-file report 97-450, p. 22-75 (OFR_01-107, data set 306). 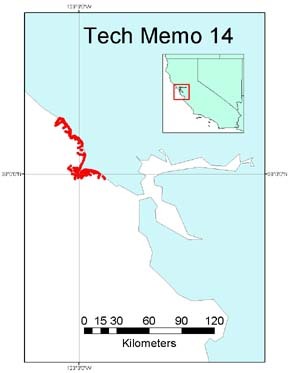 Emery, K.O., and Hülsemann, Jobst, 1963, Submarine canyons of southern California: Allan Hancock Pacific Expeditions, v. 27, pt. 1, 80 p. (Emery_and_Hülsemann_1963, data set 409). 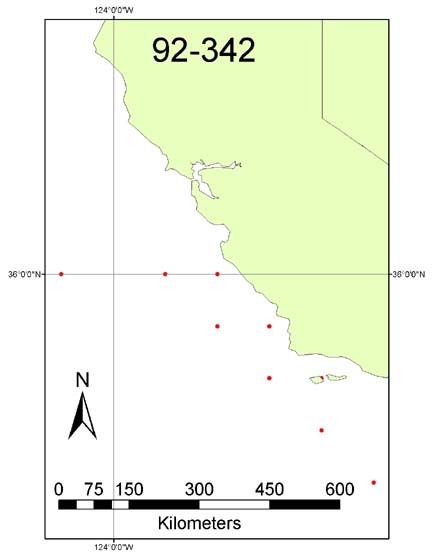 Emery, K.O., and Shepard, F.P., 1941, Lithology of the sea floor off of Southern California: Bulletin of the Geological Society of America v.56, p. 431-473 (Emery_and_Shepard_1941, data set 407). Field, Michael E., Clarke, Samuel H., Jr., and White, Michael E., 1980, Geology and geologic hazards of offshore Eel River basin, northern California continental margin: U.S. Geological Survey Open-file Report 80-1080, 80 p. (OFR_80-1080, data set 296). Gardner, James V. and Klise, David H., 1983, Mineralogic and sedimentological data collected on the shelf and upper slope adjacent to the Russian River northern California: U.S. Geological Survey Open-file report 83-517, 83 p. (OFR_83-517, data set 297). 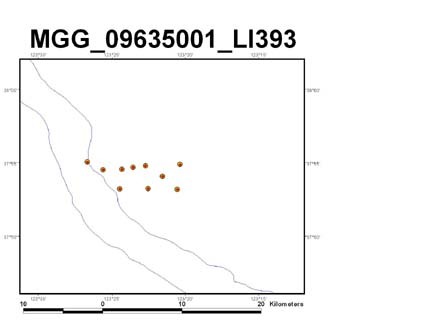 Gardner, James V., Barron, John A., Dean, Walter E., Heusser, Linda E., Poore, Richard Z., Quinterno, Paula J., Stone, Sean M., and Wilson, Christine R., 1984, Quantitative microfossil, sedimentologic, and geochemical data on core L13-81-G138 and surface samples from the continental shelf and slope off northern California: U.S. Geological Survey Open-file Report 84-369, 49 p. (OFR_84-369, data set 299). Gardner, James V., Dean, Walter E., and Kayen, Robert, 1992, Cruise report; USGS Cruise F2-92, Central and Southern California margin; Paleoceanography of the California Current; Redwood City, Calif. to Redwood City, Calif., March 11 to March 30, 1992: U.S. Geological Survey Open-file Report 92-342, 354 p. (OFR_92-342, data set 312). 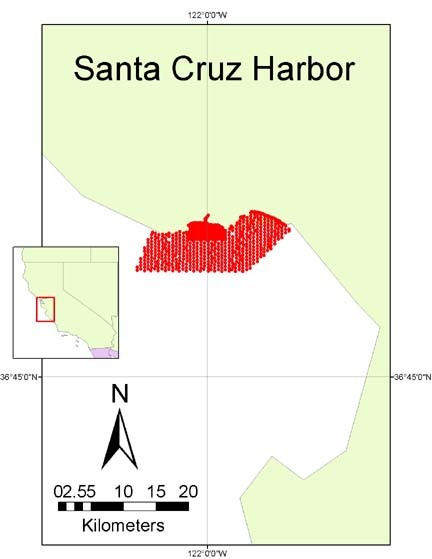 Glover, Linda K., Hill, David S., Knoop, John W., and Ross, Cary M., 1967, A summary of sediment size and composition analysis of cores and grabs of San Clemente Island: U.S. 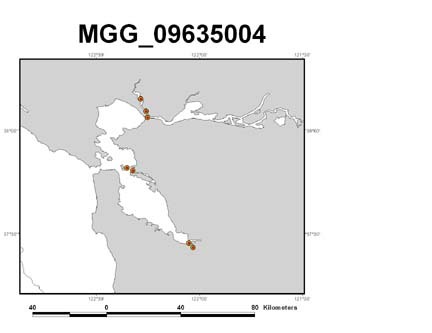 Naval Oceanographic Office (NAVOCEANO) Laboratory Item 318, National Geophysical Data Center, (MGG_09005004, data set 363). 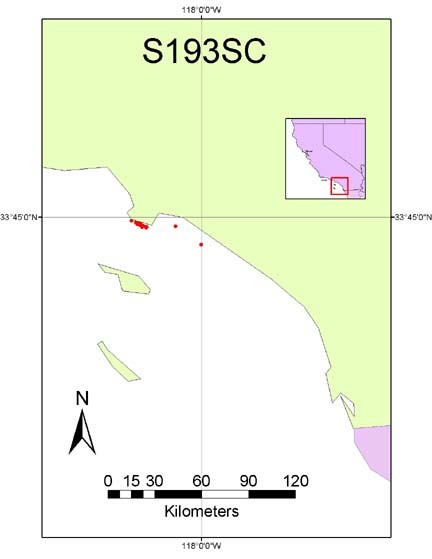 Gorsline, Donn S., 1958, Marine geology of San Pedro and Santa Monica basins and vicinity, California: Los Angeles, University of Southern California, Ph.D. dissertation, 301 p. (Gorsline_PhD_1958, data set 425). 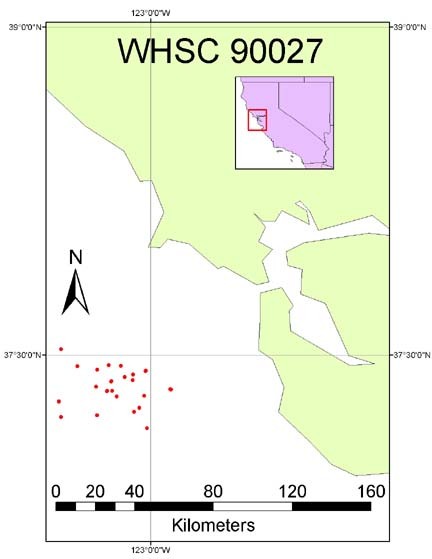 Hampton, Margaret A., Snyder, Noah P., Chin, John L., Allison, Dan W., and Rubin, David M., 2003, Bed-sediment grainsize and morphological data from Suisun, Grizzly, and Honker Bays: U.S. Geological Survey Open-file Report 03-250, 25 p. (OFR_03-250, data set 284). Hands, Edward B., 1968, Inner continental shelf sediments in the vicinity of Cape Flattery, Washington: Seattle, University of Washington, Department of Oceanography Special Report no. 40, 39 p. (SpecReps57_40_39, data set 388). Heiner W.R., 1967, A summary of sediment size and chemistry of ten cores and thirty-six grabs from off Southern California, Dec. 1967: U.S. 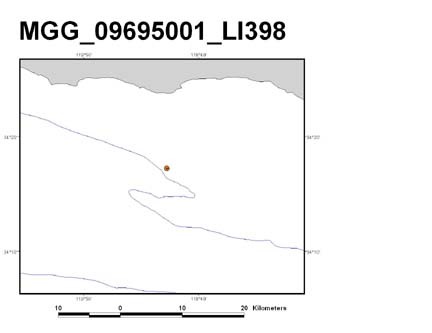 Naval Oceanographic Office (NAVOCEANO) Laboratory Item 353, 59 p., National Geophysical Data Center (MGG_09595002, data set 373). 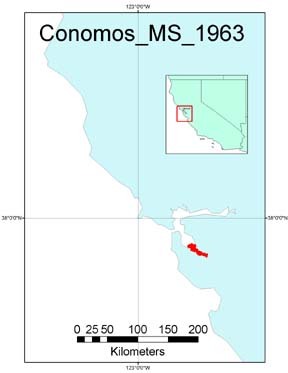 Hill, David S., Oser, Robert K., and Rohrhirsch, Joseph M., 1965, A summary of sediment size, composition and engineering properties for PMR project R-006: US Naval Oceanographic Office (NAVOCEANO) Laboratory Item 227, 40 p., National Geophysical Data Center (MGG_09005019, data set 366). 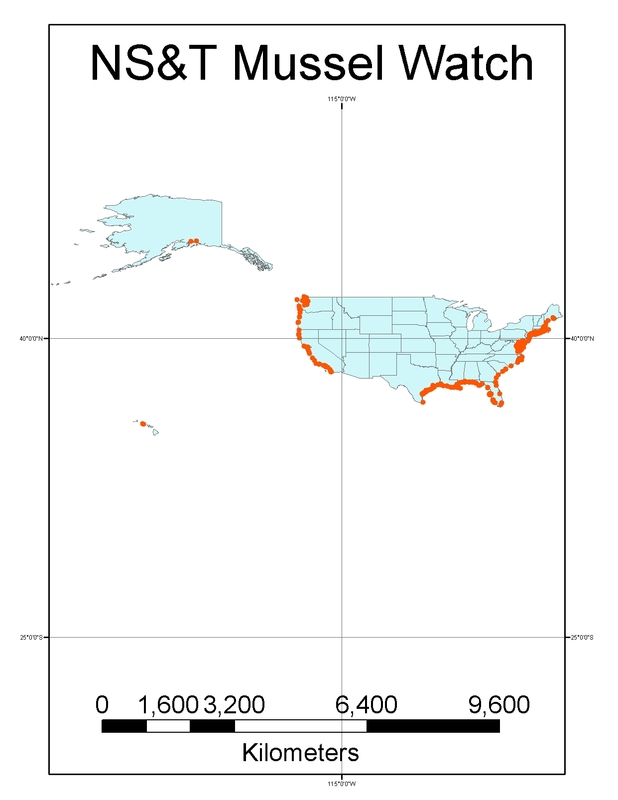 Horn, D.R., Acoustic provinces of the north Pacific based on deep sea cores, unpublished data from Cruises VEMA 20, VEMA 21, and Robert Conrad 10: U.S. Naval Oceanographic Department (NAVOCEANO), collected 1964-1966, National Geophysical Data Center (MGG_01995001, data set 362). 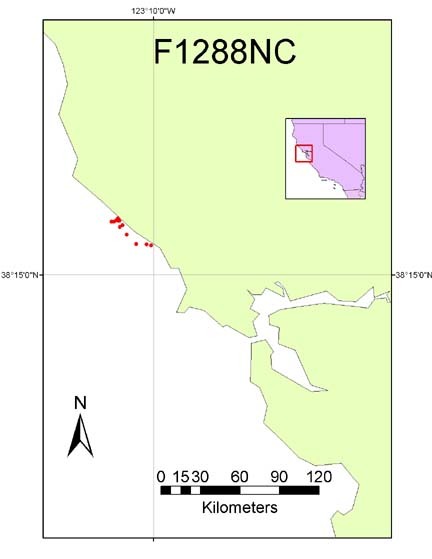 Humboldt State University, Arcata, Calif., unpublished data from the STRATAFORM project (Eel River area, northern California), cruises aboard R/V Wecoma (cruise IDs W9807, W9509A) and R/V Tommy Thompson (cruise ID TT141): Jeff Borgeld, written commun., 1999, to Michael E. Field, USGS (Strataform, data set 386). Ingram, C., Bowman, J., and Ross, C., 1975, Lab Item 486, A summary of sediment size, X-radiography, engineering and mass properties of three cores from the Pacific: U.S. 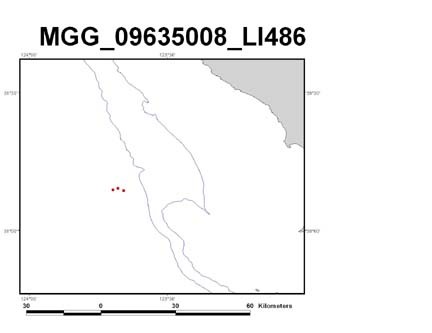 Naval Oceanographic Office (NAVOCEANO) Laboratory Item 486, 19 p., National Geophysical Data Center (MGG_09635008, data set 380). 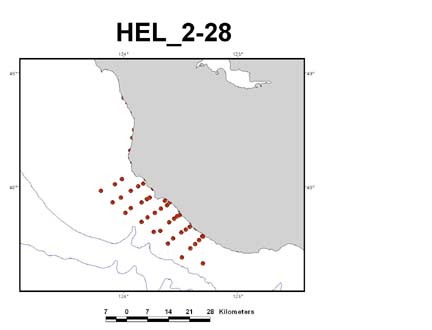 Isselhardt, C., Osuch, L., Wilde, P., and Yancey, T., 1969, Recent sediments of Bolinas Bay California, Part B: Mineralogical Data: Hydraulic Engineering Laboratory Report HEL 2-22, University of California, Berkeley, 155 p. (HEL 2-19 and HEL2-22, data set 416). 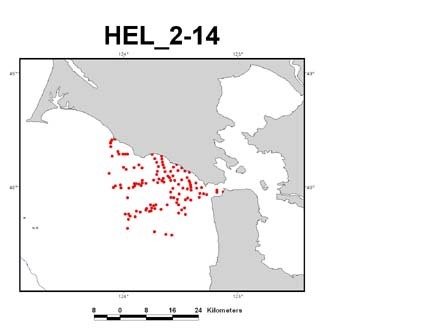 Isselhardt, C., Osuch, L., and Wilde, P, 1968, Recent sediments of Bolinas Bay California, Part A: Introduction and grain size analysis: Hydraulic Engineering Laboratory Report HEL 2-19, University of California, Berkeley, 55 p. (HEL 2-19 and HEL2-22, data set 416). 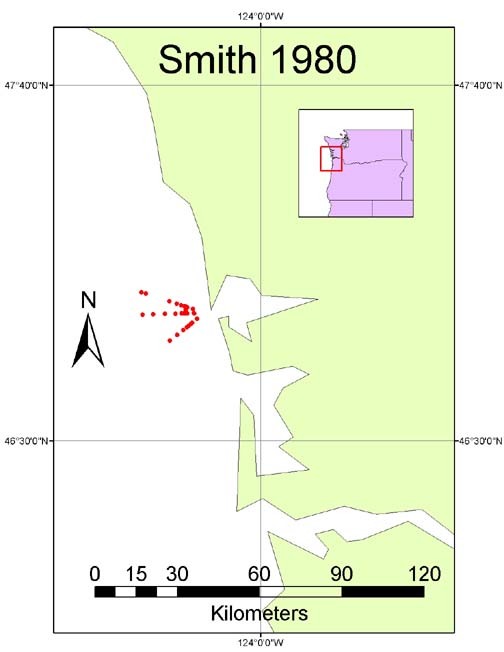 Karl, Herman A., Drake, David E., Schwab, William C., Edwards, Brian D., Lee, Homa J., and Chin, John L., 1990, Progress report on status of analysis and interpretation of data on Farallon Escarpment: U.S. Geological Survey Woods Hole Science Center Report 90027, 83 p. (WHSC_90027, data set 308). Kelly, Eugene V., and Loomis, P. Burr, 1970, A summary of sediment size and composition of ten grabs, February 1970: U.S. Naval Oceanographic Office (NAVOCEANO) Laboratory Item 393, National Geophysical Data Center, 16 p. (MGG_09635001, data set 376). Klise, David H., 1983, Modern sedimentation on the California continental margin adjacent to the Russian River: San Jose, San Jose State University, Masters thesis, 138 p. (see OFR 83-517, data set 297). Kravitz, J.H., Ross, C.M., and Loomis, P.B., 1972, A summary of sediment size, composition, X-radiography, structure, and engineering properties of 7 cores and 20 grabs from the east Pacific: U.S. 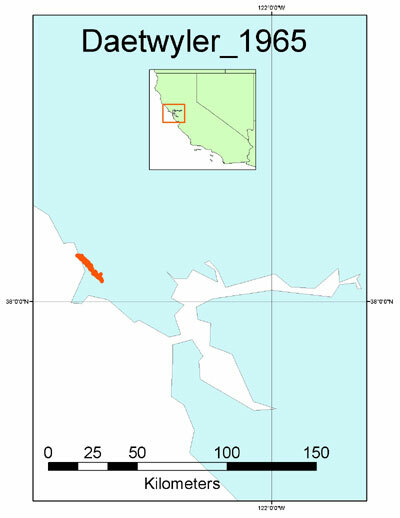 Naval Oceanographic Office (NAVOCEANO) Laboratory Item 426, 67 p., National Geophysical Data Center (MGG_09635002, data set 377). Lavoie, Dawn, 1982, Analysis of six cores from the Washington state continental shelf: U.S. 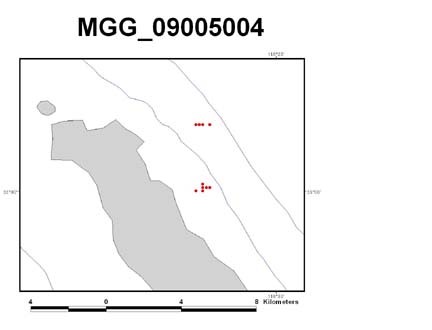 Naval Research and Development Activity (NORDA), Technical Report 6-82, 14 p., National Geophysical Data Center (MGG_09635014, data set 382). Lee, J., Glogoczowski, M., Yancey, T., and Wilde, P., 1971, Recent sediments of the central California continental shelf, Pillar Point to Pigeon Point, Part B. Mineralogical data: Berkeley, University of California, Hydraulic Engineering Laboratory, Technical Report HEL 2-30, 63 p. (HEL 2-26 and HEL2-30, data set 417). 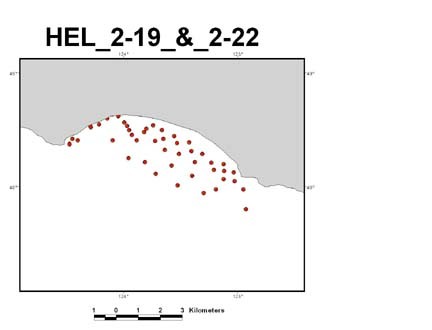 Lee, J., Yancey, T., and Wilde, P., 1970, Recent sediments of the central California continental shelf, Pigeon Point to Sand Hills Bluff: Berkeley, University of California, Hydraulic Engineering Laboratory Technical Report HEL 2-28, 62 p. (HEL 2-28, data set 418). Locke, J.L., 1971, Sedimentation and foraminiferal aspects of the recent sediments of San Pablo Bay: San Jose, San Jose State University, Masters thesis, 100 p. (Locke_MS_1971, data set 412). 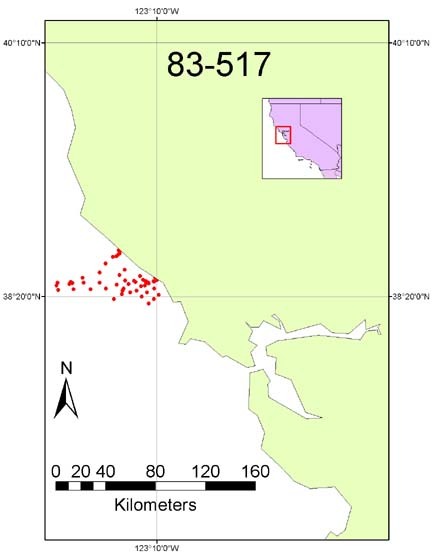 Loomis, P.B., Bowman, J.C., and Kelly, E.V., 1973, A summary of sediment size and chemistry of 3 cores and twenty-five grabs from San Francisco Bay, California and Mayport, Florida: U.S. Naval Oceanographic Office (NAVOCEANO) Laboratory Item 446, 27 p., National Geophysical Data Center (MGG_09005039, data set 367). Loomis, P.B., Bowman, J.C., and Kelly, E.V., 1973, A summary of sediment size and chemistry of 4 cores from San Diego, California and St John's River, Jacksonville, Florida: U.S. 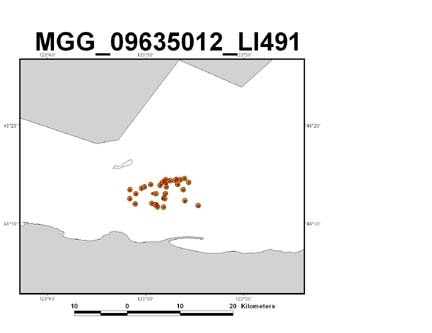 Naval Oceanographic Office (NAVOCEANO) Laboratory Item 447, 19 p., National Geophysical Data Center (MGG_09005040, data set 368). Loomis, P.B., and Bowman, J.C., 1973, A summary of sediment size and chemistry of thirty cores from San Francisco Bay and Norfolk Harbor: U.S. 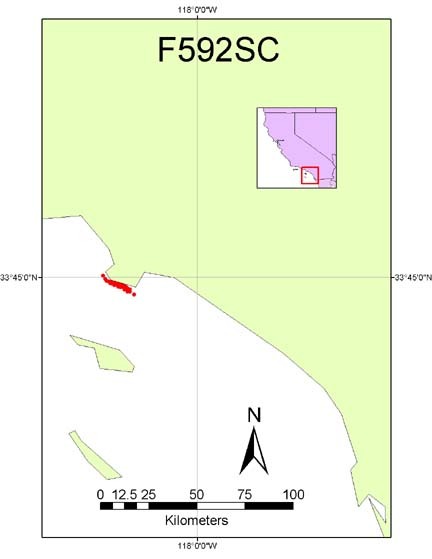 Naval Oceanographic Office (NAVOCEANO) Laboratory Item 444, 23 p., National Geophysical Data Center (MGG_09635003, data set 378). Loomis, P.B., and Bowman, J.C., 1973, A summary of sediment size and chemistry of ten cores from San Francisco Bay area: U.S. Naval Oceanographic Office (NAVOCEANO) Laboratory Item 445, 23 p., National Geophysical Data Center (MGG_09635004, data set 379). Maher, Norman M., Karl, Herman A., Chin, John L., and Schwab, William. 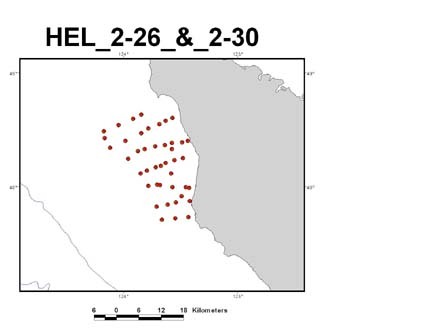 C., 1991, Station locations and grain-size analysis of surficial sediment samples collected on the continental shelf, Gulf of the Farallones during cruise F2-89-NC, January 1989: U.S. Geological Survey Open-file Report 91-375a, 42 p. (OFR_91-375A, data set 307). Maloney, Neil, and Byrne, John, 1964, Sedimentary rocks from the continental shelf and slope off the central coast of Oregon: The ORE Bin v. 26, no. 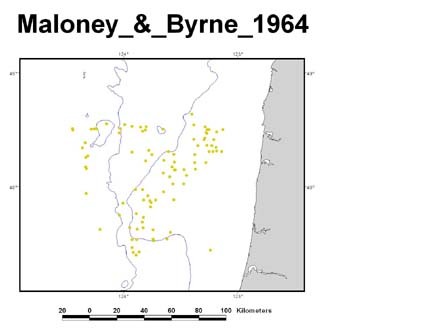 5, p. 77-83 (Maloney and Byrne 1964, data set 399). 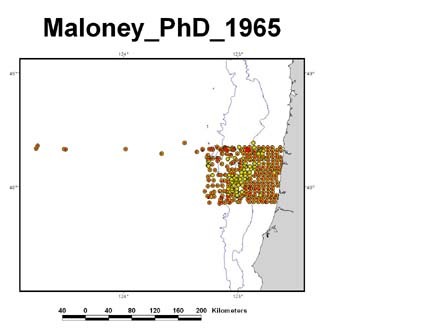 Maloney, Neil J., 1965, Geology of the continental terrace off the central coast of Oregon: Corvallis, Oregon State University, Ph.D. dissertation, 233 p. (Maloney_PhD_1965, data set 398). 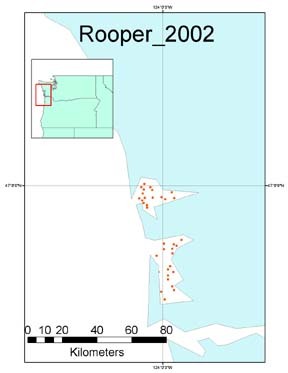 McLaren, Patrick, 2000, Moss Landing Harbor District, A sediment trend analysis (STA®) and an acoustic bottom classification (ABC) in eastern Monterey Bay, Moss Landing; Implications to dredge disposal operations: GeoSea® Consulting (Canada) Ltd., CD-ROM, (ML Harbor, data set 27). 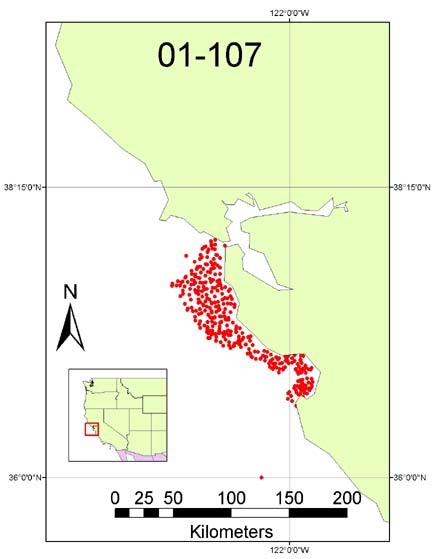 McLaren, Patrick, 2000, Sediment trend analysis (STA®) of Santa Cruz harbor: GeoSea® Consulting (Canada) Ltd., CD-ROM, (SC Harbor, data set 26). 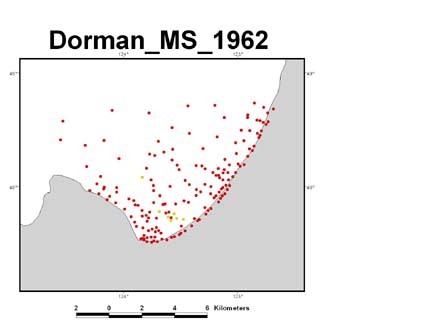 Milliman, John D., 1964, Recent marine sediments in Grays Harbor, Washington: Seattle, University of Washington, Masters thesis, 172 p. (Milliman_MS_1964, data set 392). 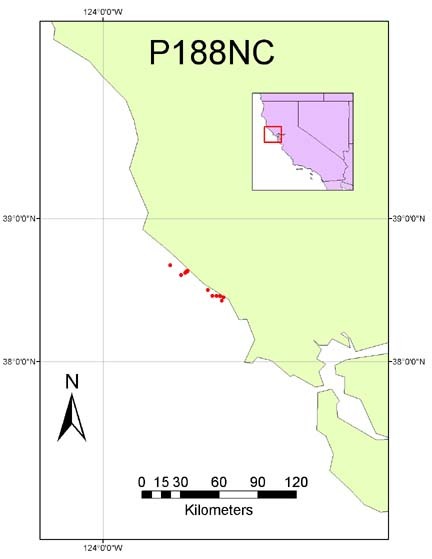 Moore, D.B., 1965, Recent coastal sediments Double Point to Point San Pedro, California: Berkeley, University of California, Hydraulic Engineering Laboratory Technical Report HEL 2-14, 86 p. (HEL 2-14, data set 414). Moore, David G., 1962. 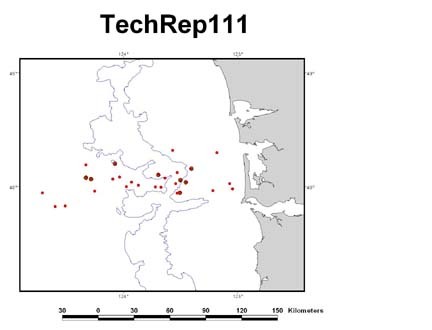 Bearing strength and other physical properties of some shallow and deep-sea sediments from the North Pacific: Geological Society of America Bulletin, v. 73, p. 1163-1166 (Moore_1962, data set 361). 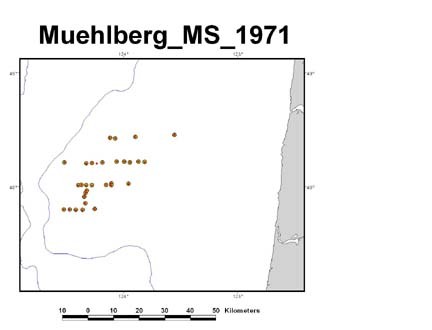 Muehlberg, Gary E., 1971, Structure and stratigraphy of Tertiary and Quaternary strata, Heceta Bank, Central Oregon: Corvallis, Oregon State University, Masters thesis, 78 p. (Muehlberg_MS_1971, data set 400). 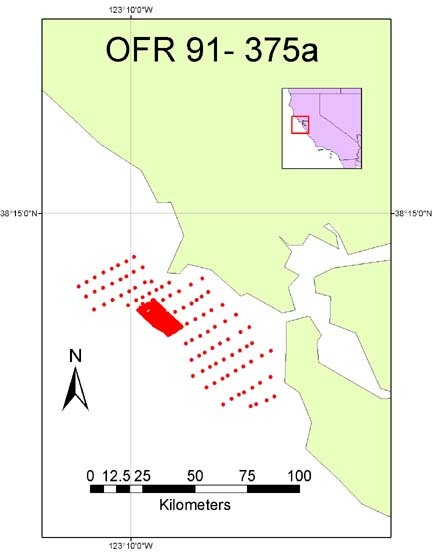 National Geophysical Data Center, 2004, Seafloor surficial sediment descriptions (Deck 41): downloaded 2004, (Deck41, data sets 124, 171, 172, 199, 202, 203, 227, 242, 243, 244, 245, 246, 259). National Oceanic and Atmospheric Administration, 2004, National Status and Trends Mussel Watch digital database: downloaded 2004, (NOAA NST MusselWatch, data set 268). 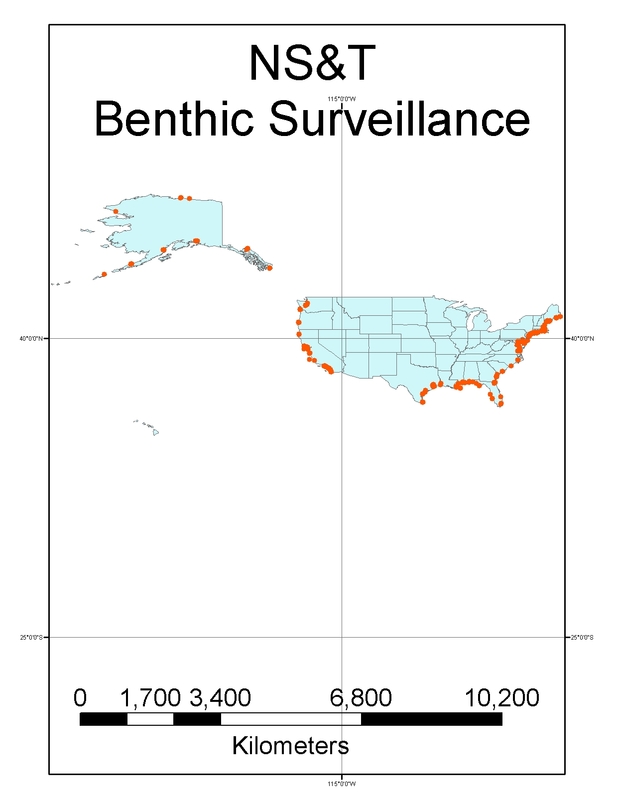 National Oceanic and Atmospheric Administration, 2004, National Status and Trends Benthic Surveillance digital database: downloaded 2004, (NOAA NST Benthic Surveillance, data set 269). 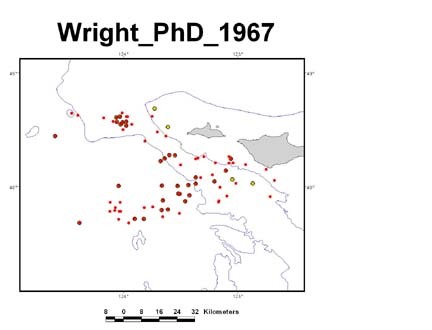 Nittrouer, Charles A., 1978, The process of detrital sediment accumulation in a continental shelf environment: An examination of the Washington shelf: Seattle, University of Washington, Ph.D. dissertation, 243 p. (Nittrouer_PhD_1978, data set 394). 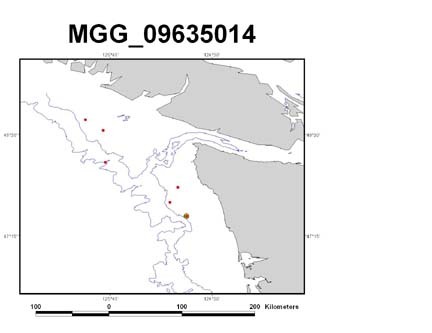 NOAA Olympic Coast National Marine Sanctuary, unpublished data gathered in the Olympic Coast National Marine Sanctuary in 2000: Rick Fletcher, written commun., 2001, to Mark Zimmermann, NOAA National Marine Fisheries Service (OCNMS_2000_grabs, data set 270). 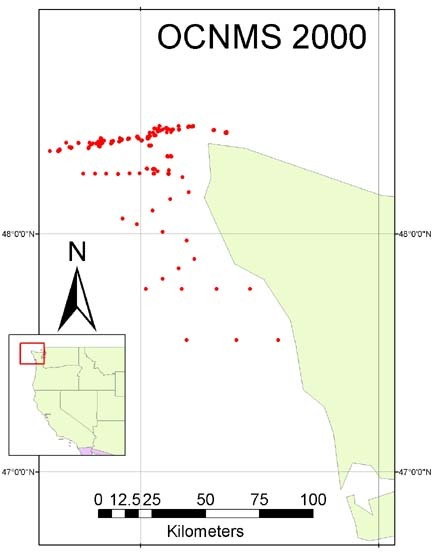 Orzech, Kevin M., Dahl, Wendy E., and Edwards, Brian D., 2001, Core descriptions, core photgraphs, physical property logs and surface textural data of sediment cores recovered from the continental shelf of the Monterey Bay National Marine Sanctuary during the research cruises M196MB, P295MB, and P197MB: U.S. Geological Survey Open-file Report 01-107, CD-ROM, (OFR_01-107, data set 306). Oser, Robert and Bowman, J., 1974, A summary of sediment size and chemistry of four cores from the Long Beach Naval Shipyard: U.S. 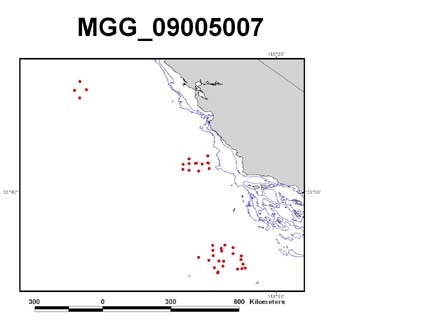 Naval Oceanographic Office (NAVOCEANO) Laboratory Item 462, 14 p., National Geophysical Data Center (MGG_09005053, data set 370). 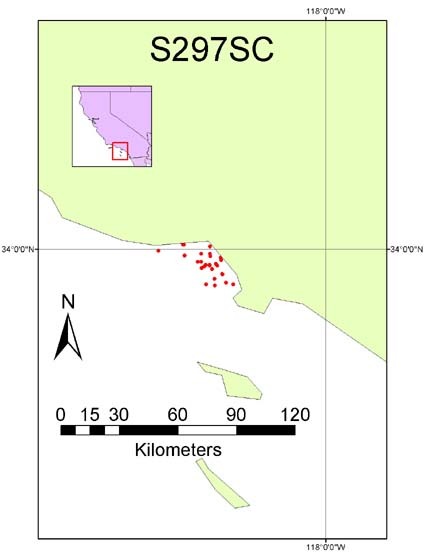 Oser, Robert, Coleman, Jess, Achstetter, Eugene, Hill, David, Johnson, William, Ross, Cary, Knoop, John, and Williams, Vernon, 1966, A summary of engineering properties, sediment size, and composition analyses of cores from the continental borderland near San Clemente Island; October 1966-December 1966: U.S. 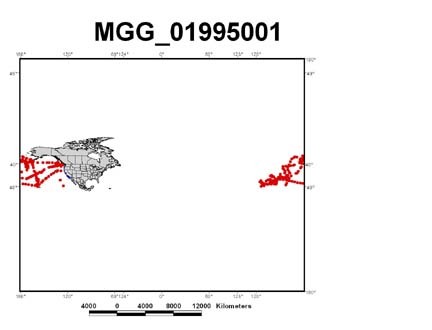 Naval Oceanographic Office (NAVOCEANO) Laboratory Item 303, 139 p., National Geophysical Data Center (MGG_09595003, data set 374). Poppe, L.J., and Polloni, C.F. (eds. 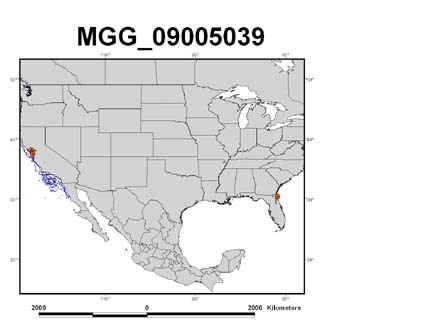 ), 2000, USGS east-coast sediment analysis: Procedures, database, and georeferenced displays: U.S. Geological Survey Open-file Report 00-358, CD-ROM (OFR_00-358, data set 357). Roberts, Richard W., 1974, Marine sedimentological data of the Washington continental shelf: Seattle, University of Washington, Department of Oceanography Special Report No. 57, 129 p. (SpecRep57, data set 388). 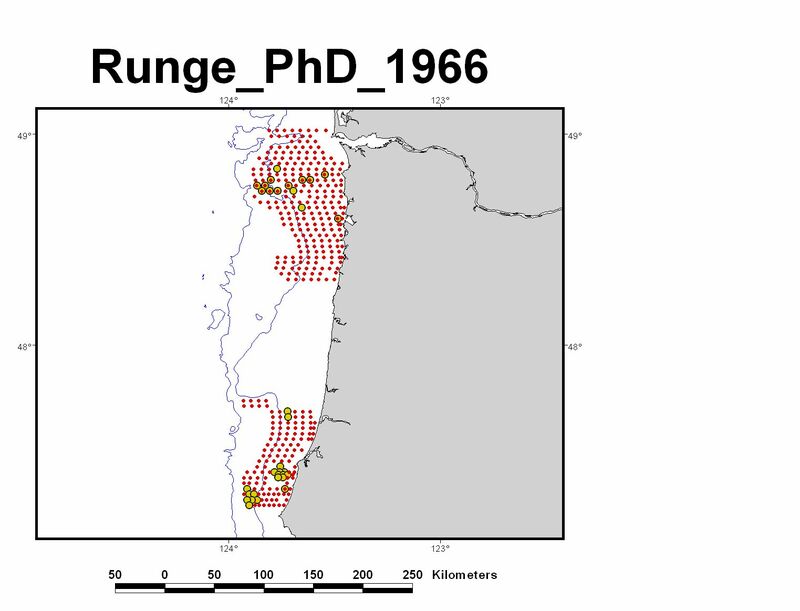 Roberts, Richard, W., 1974, Marine sedimentological data for the inland waters of Washington state (Strait of Juan de Fuca and Puget Sound): Seattle, University of Washington, Department of Oceanography Special Report 56, 120 p. (SpecRep56, data set 387). 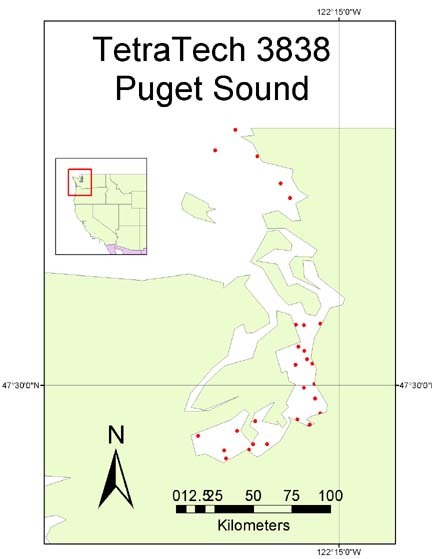 Rooper, C.N., Armstrong, D.A., and Gunderson, D., 2002, Habitat use by juvenile Dungeness crabs in coastal nursery estuaries: in Crabs in Cold Water Regions: Biology, Management, and Economics, Alaska Sea Grant College Program, p. 609-629. 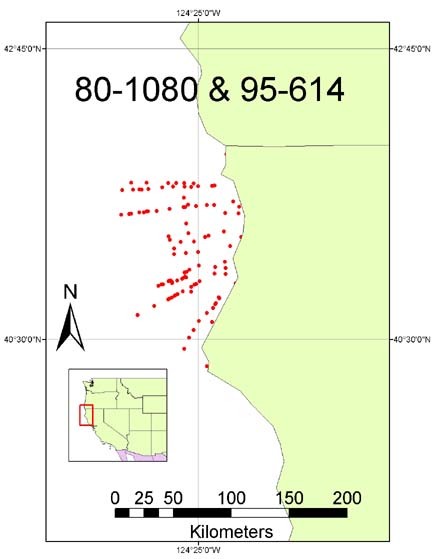 Sediment data collected in support of this study by University of Washington, Chris Rooper, written commun., 2003, to Mark Zimmermann, NOAA National Marine Fisheries Service (Rooper et al. 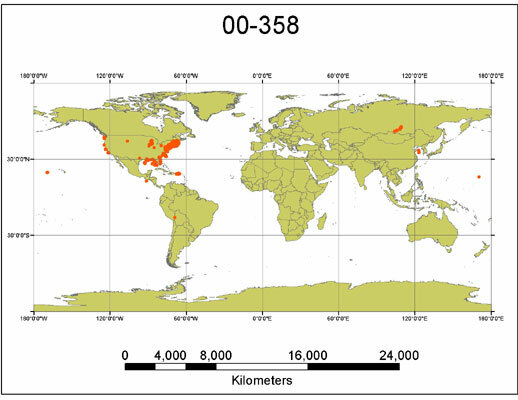 2002, data set 395). Ross, C., Kelly, E.V., Bowman, J., Ingram, C., and Stiles, N.T., 1975. 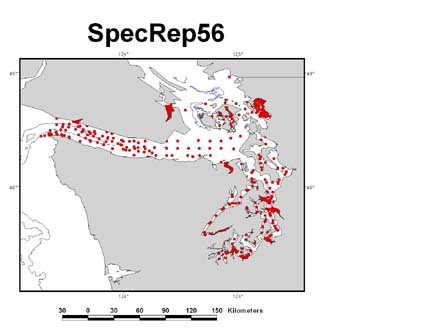 A summary of sediment size of one core and thirty-three grab samples from the Strait of Juan de Fuca: U.S. 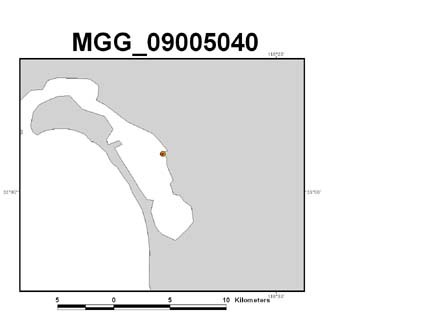 Naval Oceanographic Office (NAVOCEANO) Laboratory Item 491, 46 p., National Geophysical Data Center (MGG_09635012, data set 381). Roush, Robert C., 1970, Sediment textures and internal structures: A comparison between central Oregon continental shelf sediments and adjacent coastal sediments: Corvallis, Oregon State University, Masters thesis, 75 p. (Roush_MS_1970, data set 401). Royse, Chester F., 1964, Sediments of Willapa submarine canyon: Seattle, University of Washington, Department of Oceanography, Technical Report no. 111, Reference M64-60, 62 p. (TechRep111, data set 391). Runge, Erwin J., Jr., 1966. 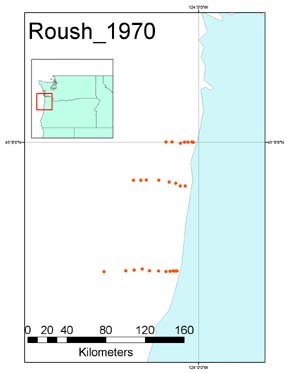 Continental shelf sediments, Columbia River to Cape Blanco Oregon: Corvallis, Oregon State University, Ph.D. dissertation, 143 p. (Runge_PhD_1966, data set 402). 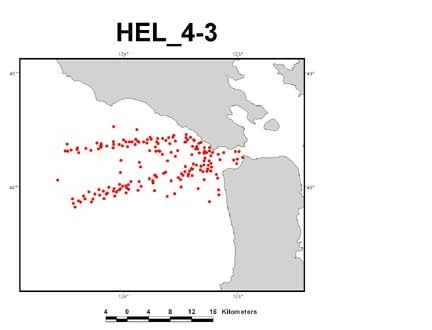 Schatz, Byron, 1963, A restudy of bottom sediments near the entrance of the Golden Gate: Berkeley, University of California, Hydraulic Engineering Laboratory, Wave Research Project, Technical Report HEL 4-3, 8 p. with appendices (HEL 4-3, data set 419). 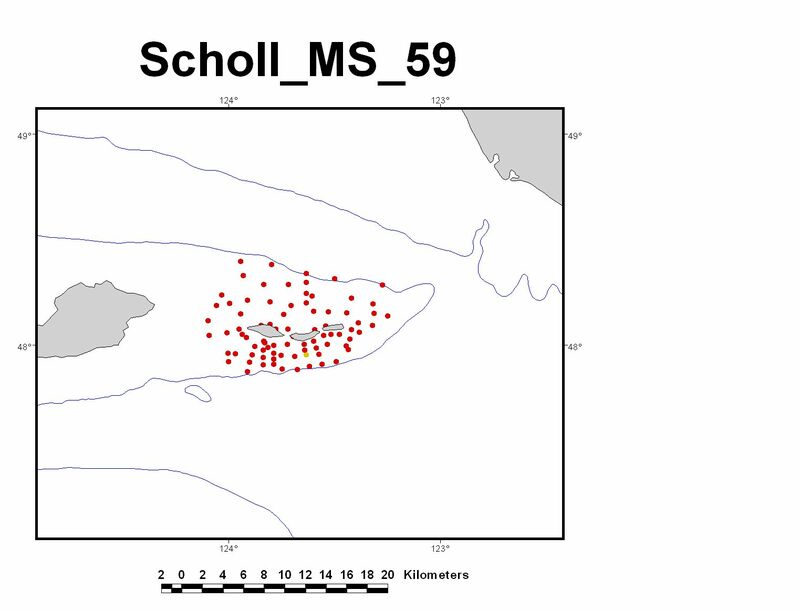 Scholl, David W., 1959, Geology and surrounding recent marine sediments of Anacapa Island: Los Angeles, University of Southern California, Masters thesis, 105 p. (Scholl_MS_59, data set 384). Skidaway Institution of Oceanography, Savannah, GA, unpublished data from the STRATAFORM project (Eel River area, northern California), cruises aboard R/V Wecoma (cruise IDs W9502A, W9509A) and R/V [unknown] (cruise ID TN062): Clark Alexander, written commun., 1999, to Michael E. Field, USGS (Strataform, data set 386). Smith, J.M., Messmer, L.W., Phipps, J.B., Samuelson, D.F., and Schermer, E.D., 1980, Grays Harbor and Chehalis River improvements to navigation environmental studies - Grays Harbor ocean disposal study: literature review and preliminary benthic sampling: U.S. Army Corps of Engineers Internal Report, cited in Twichell, David C., VeeAnn A. Cross, Kenneth F. Parolski, 2000, Sidescan-sonar imagery, surface sediment samples, and surficial geologic interpretation of the southwestern Washington inner continental shelf based on data collected during Corliss cruises 97007 and 98014, South Washington Coastal Erosion Study, U.S. Geological Survey Open-file Report 00-167, CD-ROM, (Smith and others, 1980, data set 16). Smith, Stephen V., 1970, Calcium carbonate budget of the southern California continental borderland: Honolulu, University of Hawaii, Ph.D. dissertation, also published as Hawaii Institute of Geophysics Report no. HIG-70-11, 174 p. (Smith_PhD_1970, data set 405). 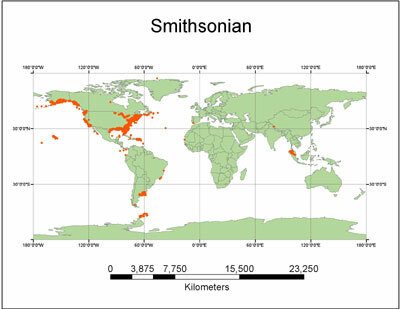 Smithsonian Institution, 2001, National Ocean Service digital database: Carla Moore, National Geographic Data Center, 2001, personal communication to Jane Reid, USGS; used by permission of Scott Wing, Smithsonian Institution, 2004 (Smithsonian_NOS_File, data set 279). Smithsonian Institution, 2004, Raw data sheets of bottle samples 1844-1884: NODCref 619, Deck 41 data compilation, National Geophysical Data Center, (Deck41, data set 124). Smithsonian Institution, 2004, Coded NODC forms: NODCref 781, Deck 41 data compilation, National Geophysical Data Center, (Deck41, data set 227). 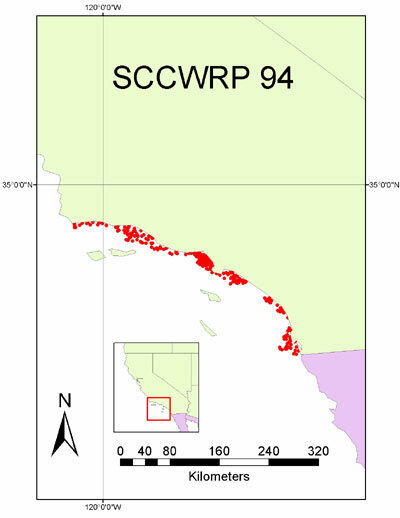 Southern California Coastal Water Research Project (SCCWRP), 1996, 1994 Pilot Project Survey report: online, downloaded 1999, (SCCWRP94, data set 28). 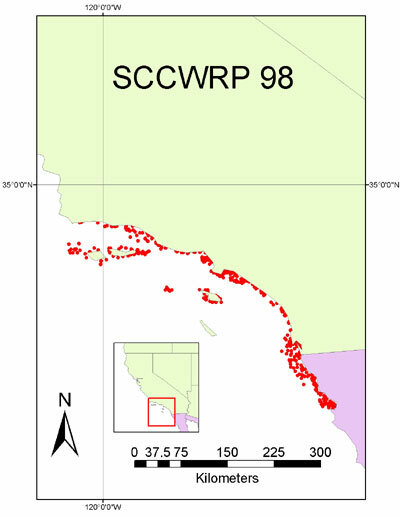 Southern California Coastal Water Research Project (SCCWRP), 2000, Bight98 Survey: online, downloaded 2005 (SCCWRP98, data set 29). 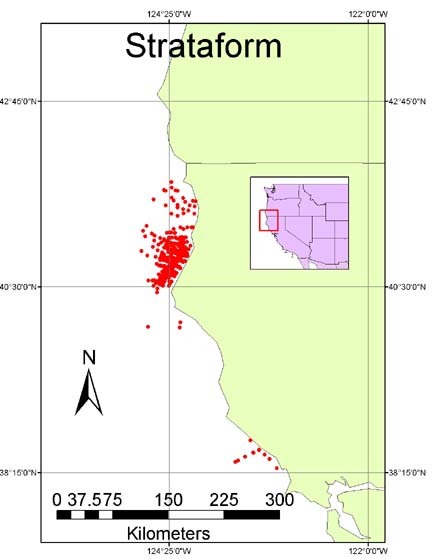 Spigai, Joseph J., 1971, Marine geology of the continental margin of southern Oregon: Corvallis, Oregon State University, Ph.D. dissertation, 214 p. (Spigai_PhD_1971, data set 403). 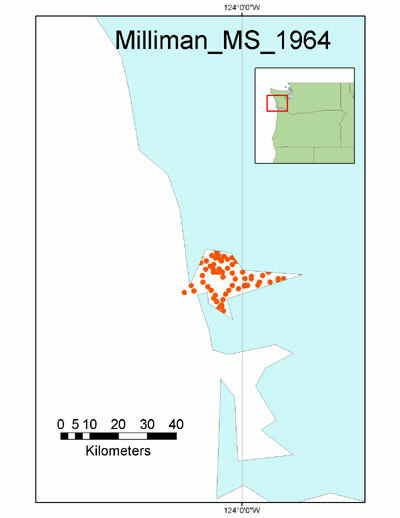 Tetra Tech, Inc., 1990, Puget Sound ambient monitoring program 1989, Marine sediment monitoring: Report to the Washington (State) Department of Ecology Ambient Monitoring Section, TC 3838 Final Report, 262 p. (TC_3838, data set 25). 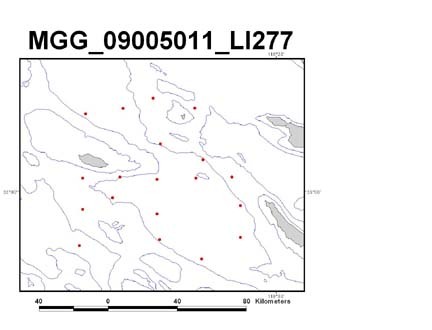 U.S. Coast and Geodetic Survey, 2002, Unpublished bottom sediment data from cruise OPR 411, collected 1968 to 1970: National Geophysical Data Center, 30 p. (MGG_03995001, data set 272). U.S. Coast and Geodetic Survey, 2004, Unpublished oceanographic log sheets — M: Bottom sediment data from Surveyor OPR. No. 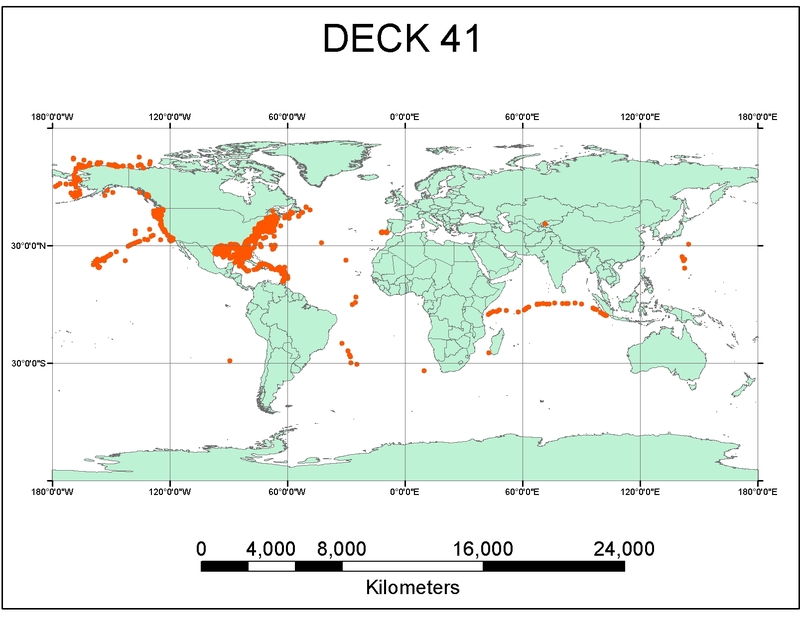 441: NODCref 717, Deck 41 data compilation, National Geophysical Data Center (Deck41, data set 199). 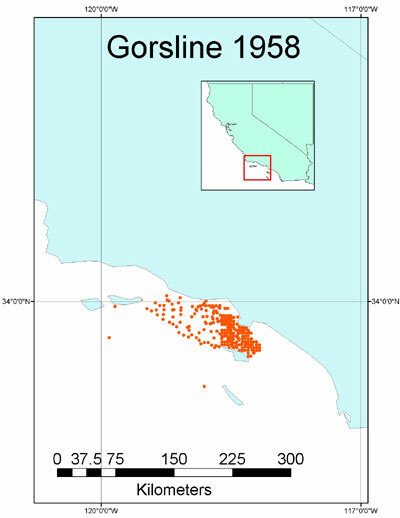 U.S. Geological Survey, unpublished data from southern California, aboard the R/V Auriga, cruise A298SC, collected 1998, Homa Lee and Brian Edwards, Chief Scientists, (Cruise_A298SC, data set 295). 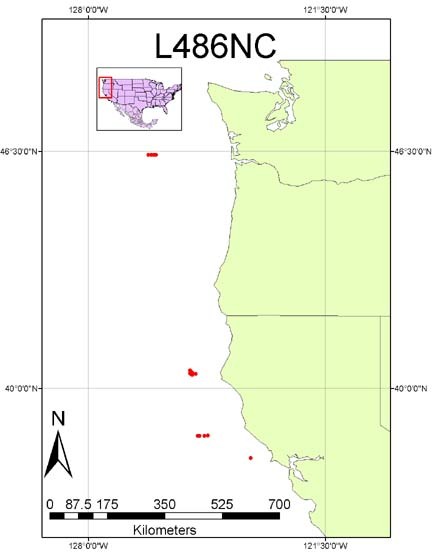 U.S. Geological Survey, unpublished data from northern California, aboard the R/V Farnella, cruise F1288NC, collected 1988, Michael E. Field and James V. Gardner, Chief Scientists (Cruise_F1288NC, data set 300). 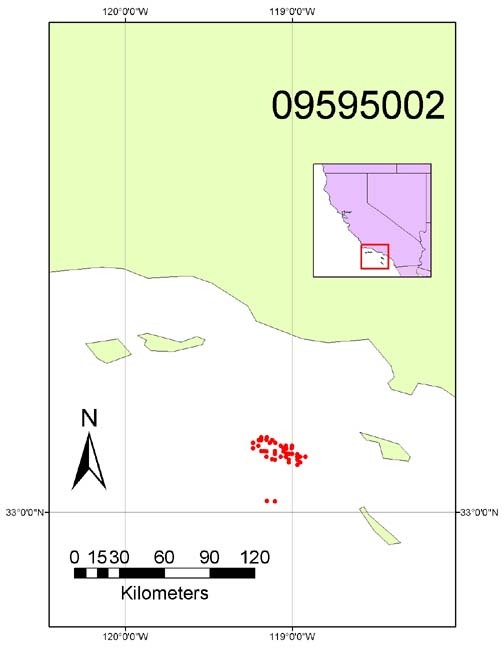 U.S. Geological Survey, unpublished data from southern California, aboard the R/V Farnella, cruise F592SC, collected 1992, Homa Lee and Brian Edwards, Chief Scientists (Cruise_F592SC, data set 309). 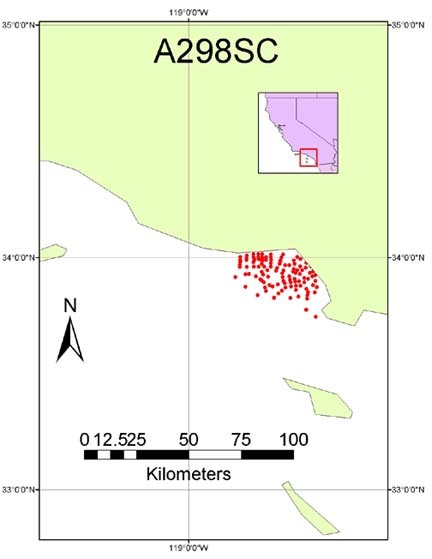 U.S. Geological Survey, unpublished data from northern California, aboard the R/V S.P. Lee, cruise L486NC, collected 1986, David Cacchione and David Drake, Chief Scientists (Cruise_L486NC, data set 301). 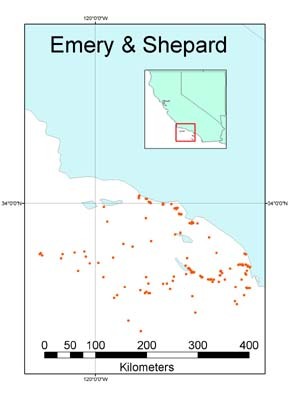 U.S. Geological Survey, unpublished data from northern California, aboard the R/V McArthur II, cruise M102NC, collected 2001, Ian Hartwell, NOAA, Chief Scientist (Cruise_M102NC, data set 315). 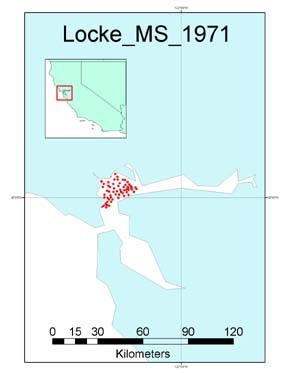 U.S. Geological Survey, unpublished data from northern California, aboard the R/V Point Sur, cruise P188NC, collected 1988, David Cacchione and Michael Field, Chief Scientists (Cruise_P188NC, data set 302). 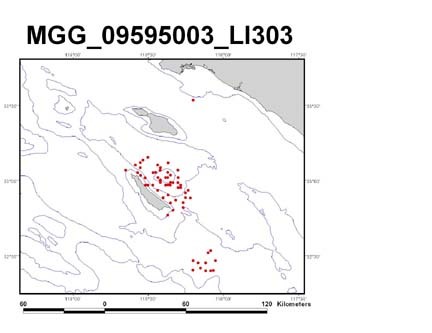 U.S. Geological Survey, unpublished data from northern California, aboard the R/V Sea Sounder, cruise S5a79NC, collected 1979, David Cacchione and David Drake, Chief Scientists (Cruise_S5a79NC, data set 305). 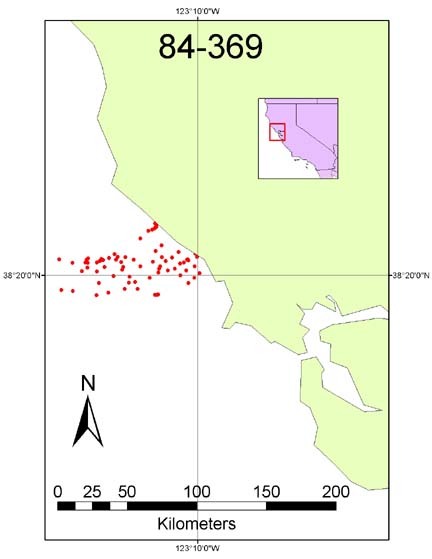 U.S. Geological Survey, unpublished data from northern California, aboard the R/V Susan K, cruise S186NC (SK86NC), collected 1986, David Cacchione and David Drake, Chief Scientists (Cruise_S186NC, data set 303). 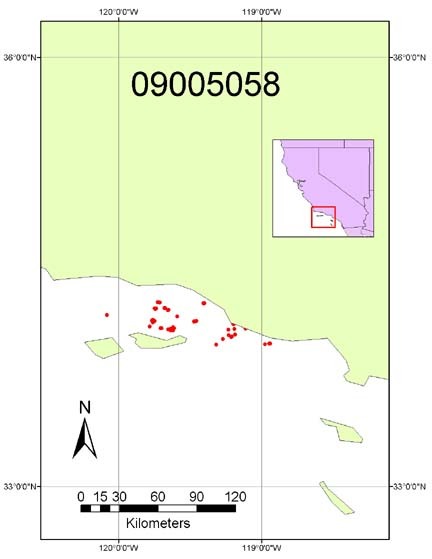 U.S. Geological Survey, unpublished data from southern California, aboard the R/V Sea Sounder, cruise S193SC, collected 1993, Dave Drake, Chief Scientist (Cruise_S193SC, data set 310). 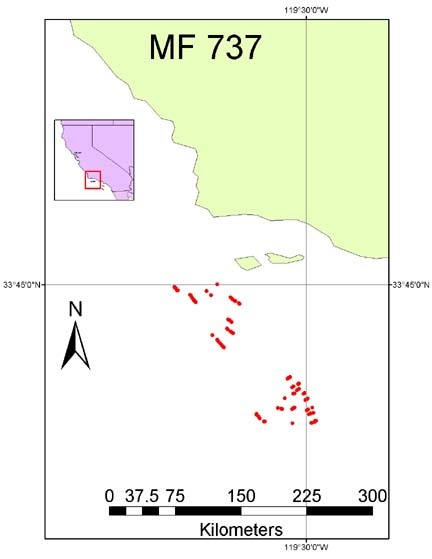 U.S. Geological Survey, unpublished data from southern California, aboard the R/V Sproul, cruise S297SC, collected 1997, Homa Lee and Brian Edwards, Chief Scientists, (Cruise_S297SC, data set 294). 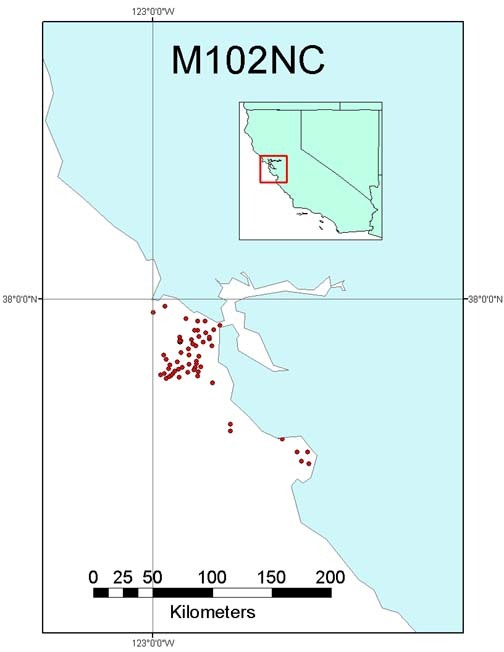 U.S. Geological Survey, unpublished data from northern California, aboard the R/V Tommy Thompson, cruise TT197 [USGS Cruise T286NC], collected 1986, Michael Field, Chief Scientist (Cruise_TT197/T286NC, data set 304). U.S. 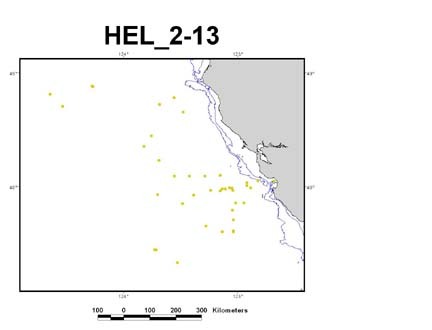 Naval Civil Engineering Laboratory, 2003, Analyses of marine sediment in Area H, eastern Pacific: unpublished report, 269 p., National Geophysical Data Center (MGG_09005007, data set 364). U.S. Naval Oceanographic Office, 1969, Submarine sediment investigation near planned Sealab 3 Habitat: U.S. 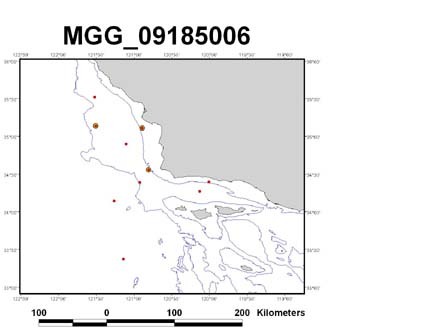 Naval Oceanographic Office (NAVOCEANO) Informal Report 69-28, National Geophysical Data Center, (MGGID_09005004, data set 363). U.S. 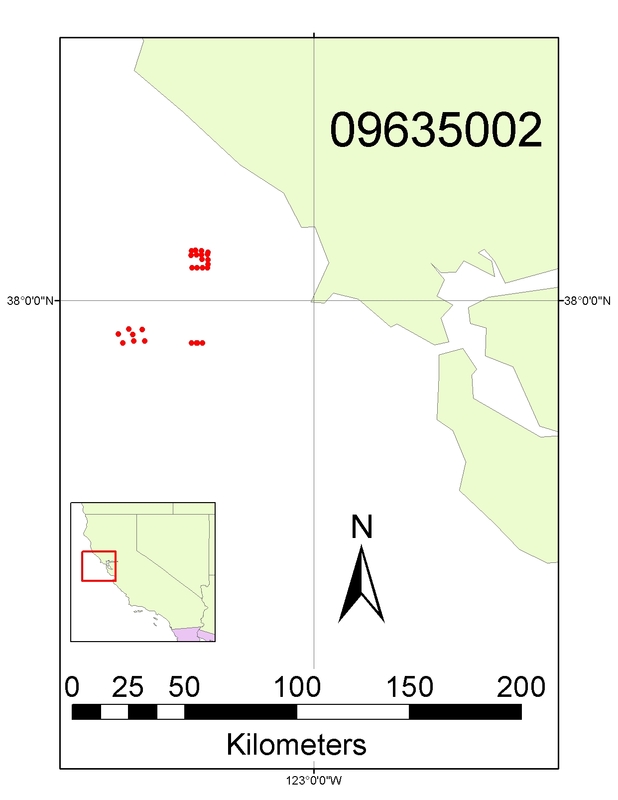 Naval Oceanographic Office, 2004, unpublished coded NODC geology forms, R/V Davis (T-AGOR 5), cruise 056716, NODCref 837, Deck 41 data compilation, National Geophysical Data Center, (Deck41, data set 246). University of Southern California, Los Angeles, CA, SEDDATA digital database: Donn Gorsline, written commun., 2001, to Jane Reid, USGS (SEDDATA, data set 404). University of Southern California, 2004, unpublished oceanographic log sheets — M: Bottom sediment data from Velero IV, cruise 670: NODCref 721, Deck 41 data compilation, National Geophysical Data Center, (Deck41, data set 202). 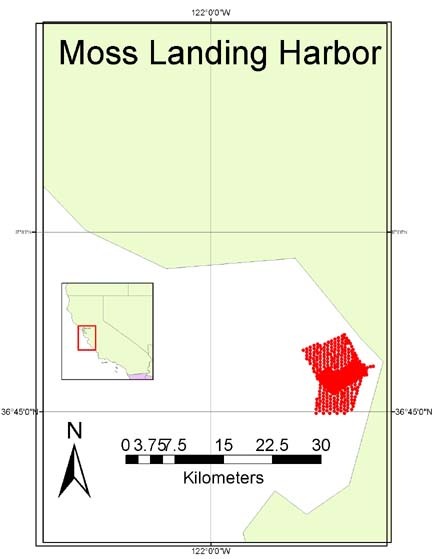 University of Southern California, 2004, unpublished raw data sheets and coded NODC geology forms, Velero IV, cruise 866 NODCref 722: Deck 41 data compilation, National Geophysical Data Center, (Deck41, data set 203). University of Southern California, 2004, unpublished oceanographic log sheets — M: Bottom sediment data from Velero IV, cruise 909: NODCref 831, Deck 41 data compilation, National Geophysical Data Center, (Deck41, data set 242). University of Southern California, 2004, unpublished oceanographic log sheets — M: Bottom sediment data from Velero IV, cruise 910: NODCref 832, Deck 41 data compilation, National Geophysical Data Center, (Deck41, data set 243). University of Southern California, 2004, unpublished oceanographic log sheets — M: Bottom sediment data from Velero IV, cruise 911: NODCref 833, Deck 41 data compilation, National Geophysical Data Center, (Deck41, data set 244). University of Southern California, 2004, unpublished oceanographic log sheets — M: Bottom sediment data from Velero IV, cruise 914: NODCref 834, Deck 41 data compilation, National Geophysical Data Center, (Deck41, data set 245). 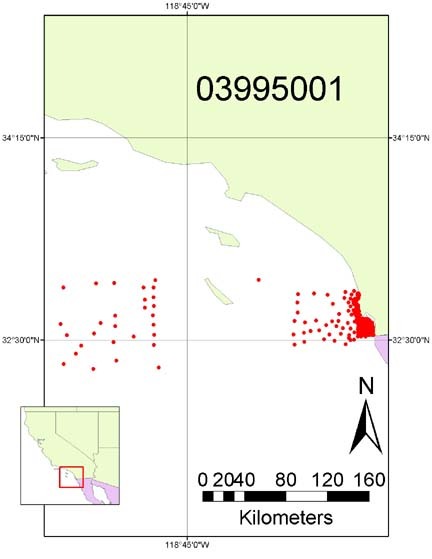 University of Washington, Seattle, unpublished data from the STRATAFORM project (Eel River area, northern California) cruises aboard the R/V Pacific Hunter (cruise IDs PH950304, PH950515, PH951110, PH951216, PH960317, PH960424); R/V Point Sur (cruise IDs PS9705, PS9803); R/V Wecoma (cruise IDs W9606A, W9701A, W9801); and R/V Warrior II (cruise ID WR9611): Charles Nittrouer, 1999, written commun., 1999, to Michael Field, USGS, (Strataform, data set 386). 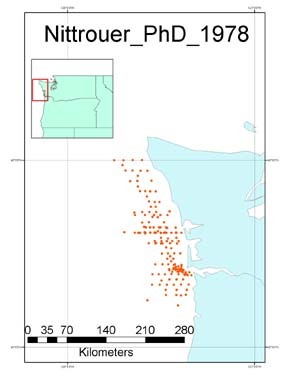 University of Washington, Seattle, 2004, coded NODC forms, R/V Tommy Thompson, Cruise TT8: NODCref 678, Deck 41 data compilation, National Geophysical Data Center, (Deck41, data set 171). Valent, P. J., and Lee, H. J., 1971, Reconnaissance study for the proposed California undersea aqueduct: Naval Civil Engineering Lab Report Number 1: NCEL core data — Santa Barbara Channel area: Naval Civil Engineering Laboratory, 137 p. National Geophysical Data Center (MGG_09005058, data set 371). 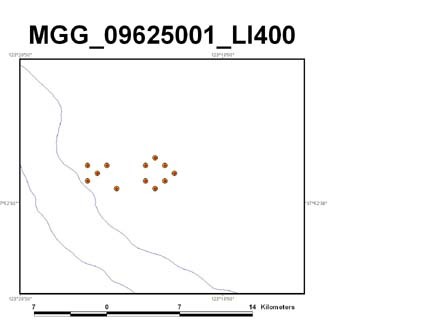 Vedder, J.G., Taylor, J.C., Arnal, R.E., and Bukry, D., 1976, Preliminary description of selected samples of pre-Quaternary ag: U.S. Geological Survey Miscellaneous Field Studies MF 737, 3 sheets (MF-737, data set 311). 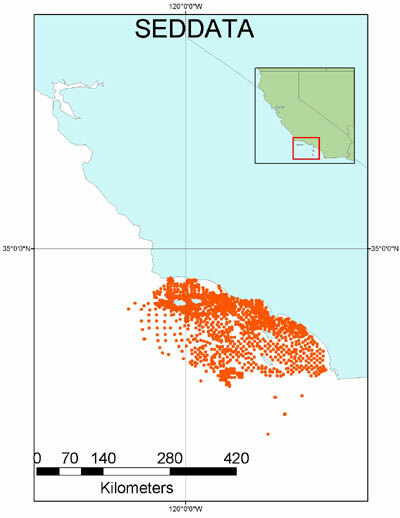 Wilde, Pat, 1965, Recent sediments of the Monterey deep-sea fan: Berkeley, University of California, Hydraulic Engineering Laboratory Technical Report HEL 2-13, 153 p. (HEL 2-13, data set 413). 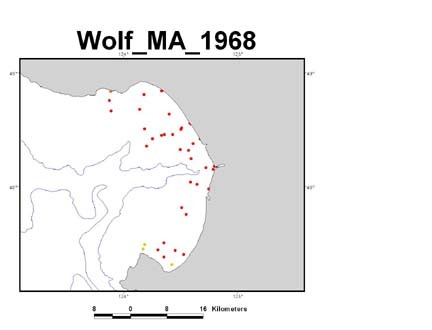 Wolf, Stephen C., 1968, Current patterns and mass transport of clastic sediments in the near-shore regions of Monterey Bay, San Jose, San Jose State University, Masters thesis, 176 p. (Wolf_MS_1968, data set 410). Wong, Florence L., 1995, Sediment distribution on a stream-dominated continental margin, northern California; Implications from heavy-mineral studies: U.S. Geological Survey Open-file Report 95-614, 21 p. (OFR_95-614, data set 296). 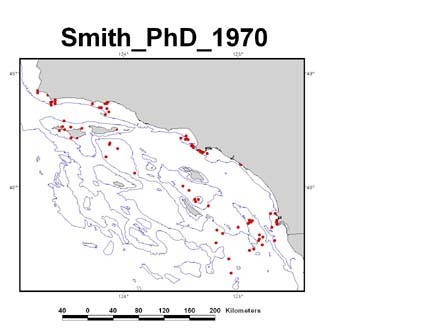 Wright, Frederick F., 1967, The marine geology of the San Miguel gap off Point Conception, California: Los Angeles, University of Southern California, Ph.D. dissertation, 257 p. (Wright_PhD_1967, data set 424). 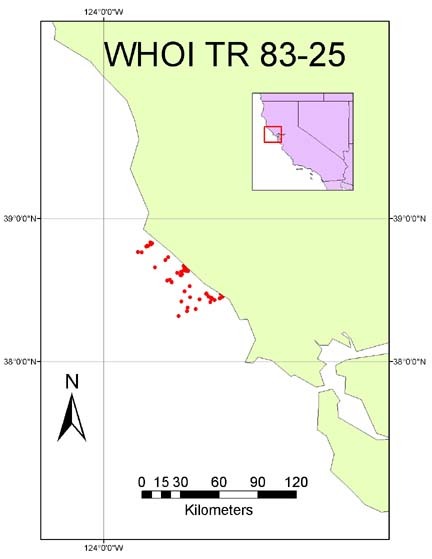 Yancey, T.E, Isselhardt, C., Osuch, L., Lee, J., and Wilde, P., 1970, Recent sediments of the central California continental shelf, Pillar Point to Pigeon Point, Part A, Grain size data: Berkeley, University of California, Hydraulic Engineering Laboratory, Technical Report HEL 2-26, 64 p. (HEL 2-26 and HEL 2-30, data set 417). 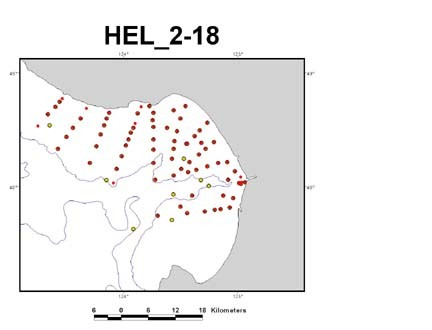 Yancey, T.E., 1968, Recent sediments of Monterey Bay: Berkeley, University of California, Hydraulic Engineering Laboratory Technical Report HEL 2-18, 145 p. (HEL 2-18, data set 415).